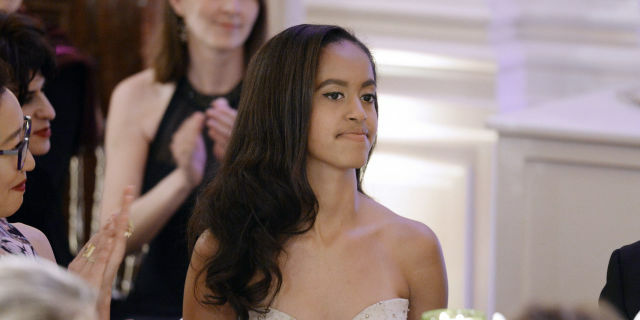 Racist Bigots aren't happy about Malia Obama joining Harvard. After the news about President Obama’s first daughter Malia Obama deciding to go to Harvard University for undergrad and before that she wants to take a year gap, media has been all boiled up and people have started to cook up different stories. Well on the account of her decision Racist Bigots aren't happy. They have been throwing their comments all over. The first daughter simply wanted to take a year off before enrolling into Harvard ‘everybody’s dream school’. If we see casually, who would possibly be against this fair decision? However, there are . So be ready to be both surprised and to some extent of disappointment. Commenters allegedly on the conservative Fox News site used the ‘n-word’ to describe 17-year old Malia Obama. No racial epithet seemed to be spared and one commenter even wished that she would get cancer of AIDS or one of those colored diseases. How lame and how classless is that! Here is a video that you would like. It is none other than Malia Obama's joining Harvard Class of 2021 after a gap year.